I decided to come here. I’ve been coming here every 5 weeks for 20 years. Even when I was unemployed I came here. During those lean months, I terminated my cable TV, walked rather than drove, removed any unnecessary expense so I could continue to come here. Today, just like every other time before, I lay on a bed that contours my body . . . a bed of jumbo cotton balls. The room is painted in a green that bears the undertones of everything in nature. The ceiling is the color of the sky at the horizon and there’s a dome painted an enveloping shade of blue; it’s dotted with tiny LED lit holes. I’m reminded of dusk in Tahoe after the last spring snowstorm. 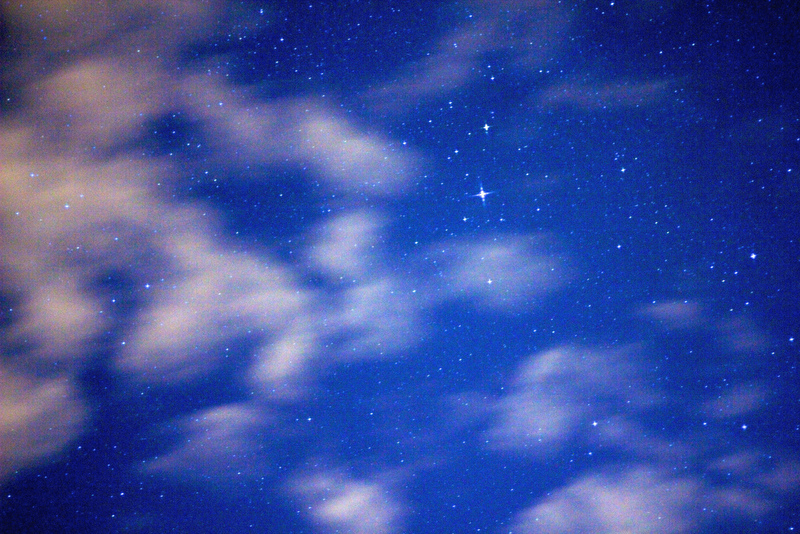 As I stare into the ethereal sky, I see constellations, never the same ones, and maybe only imaged ones. It’s easy to breathe. . . I feel I’ve always been here, and during these 90 minutes, I’m disconnected from everything. I’m also here so that Liza can renovate my skin. She is a beauty alchemist, a master aesthetician. Liza applies masks, serums, mists, creams, and uses the latest technology in skin care. She removes boulders when I’ve been in the desert for weeks, peels layers of residue from gallons of sunscreen and sweat when I train for a marathon, evens my skin tone after days of mid-summer solar exposure. I emerge restored. Skin care is part of my family’s DNA. My grandmother was a Noxzema Girl. She toted the cobalt blue jar everywhere. During our annual Buck’s Lake vacation, she would even smear Noxzema onto the face of her favorite stable horse, who had a skin condition. By the end of our stay, the horse’s skin was radiant, just like my grandmother’s. My mom used Pond’s Cold Cream – “an evolution to skin care.” I remember her using it to clean her face in the morning, laying the foundation for her “paint,” and removing the make-up at night. She always receives complements on her skin – claiming it is all due to her dedication to her skin care routine and Pond’s. Does all this attention to skin care make us appear younger? Well, my grandmother always appeared old, because she was . . . my grandmother. My mom never appears old, because she is an accomplished make-up artist. I appear – my age. So, why all this devotion to our skin? Why do I continue to come here? I like clean skin. I want my skin to reflect my good inside health on the outside. And, when I look you in the eye, your eyes see just that . . . great skin. Thank you Liza! I’ll see you in 5 weeks. This entry was posted in Personal Grooming and tagged boomer, elite skin care, esthetician, facial, how to care for your skin, noxzema, ponds cold cream, San Mateo California, Shinazy, skin care, story telling, storytelling, www.eliteskincare.com. Bookmark the permalink.